Ongoing national Science Vendor Fairs available from Biotechnology Calendar, Inc. provide opportunities for both researchers and vendors to succeed professionally. 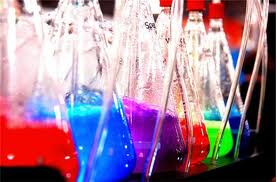 See research supplies nationwide at top rated national and local science marketplace vendor fairs. See the largest product selection, compare prices, and meet with industry experts that can answer your technical questions. 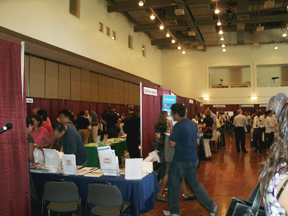 See the best lab supplier events on campus, more exhibitors, and more opportunities. Because there are more high level researchers at our events, there is also more high level networking, relevant idea generation, and solution-based problem solving. This is the fully staffed, fully exhibited and fully catered annual event series you will not want to miss. If you have not yet experienced the multipoint advantages of participating in our events and marketing programs, you will receive a $100 voucher to use on any Biotechnology Calendar Inc. product or service during the 2012 calendar year. We look forward to helping your company succeed in the science marketplace - sign up for your special offer today, and receive more information about our science vendor fairs. If you value current relevant science information delivered daily - see the Science Market Update information Resource. Sign up with just your email address to receive daily updates.